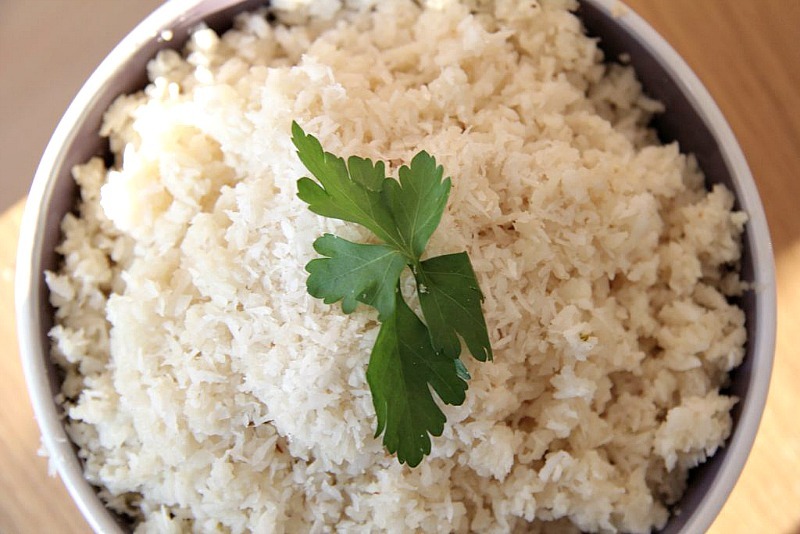 This coconut cauliflower rice recipe is a great side dish for a curry. It is definitely for lovers of coconut as the only non coconut ingredient is the cauliflower. I am having a love affair with cauliflower at the moment and playing around with various versions of traditional rice dishes but with the glorious cauliflower. I wanted a coconut “sticky” rice and this came fairly near to it. 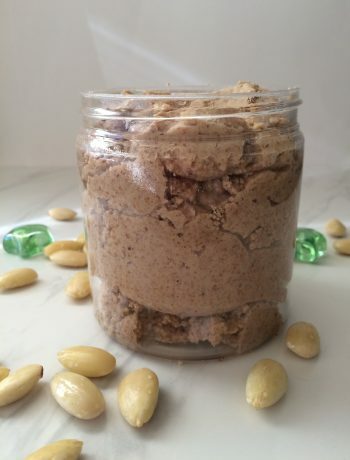 Say goodbye carbs, and hello healthy alternative! It is great with curries and spicy dishes too! Although I had some with my lunch frittata and loved it..! I’ve made this a few times as it is just sooo easy. You may want to add more dessicated coconut to taste..this will vary depending upon how “coconuty” you like your fake, low carb rice! Although I stir fry the cauliflower rice to remove the water from it, I think that this would be a great dish to bake in the oven. Cook the cauliflower in the oven first, then remove and follow the rest of the recipe. Perhaps garnish with some toasted coconut too. Add a dash of fresh coriander and you have yourself a delicious side dish. 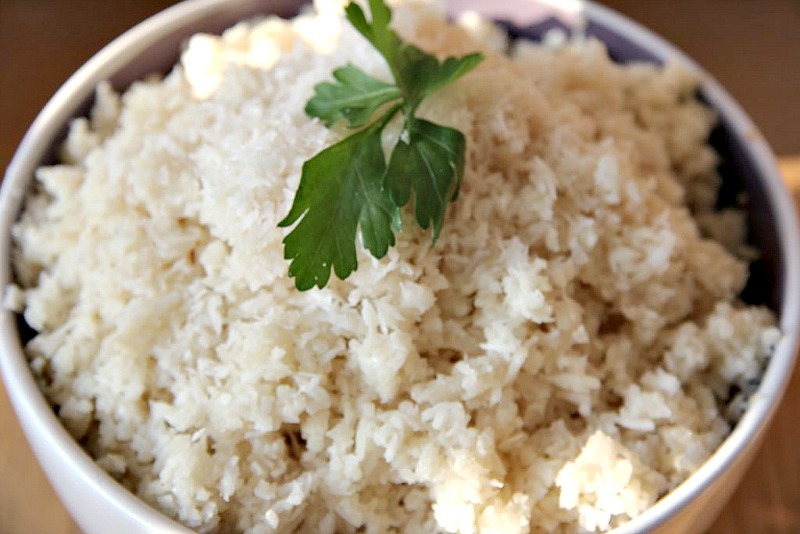 Rice the cauliflower by either placing in a blender and pulsing a couple of times. Or grate using a hand held grater. Add the grated cauliflower and on a low heat, gently cook for about 3-5 minutes. 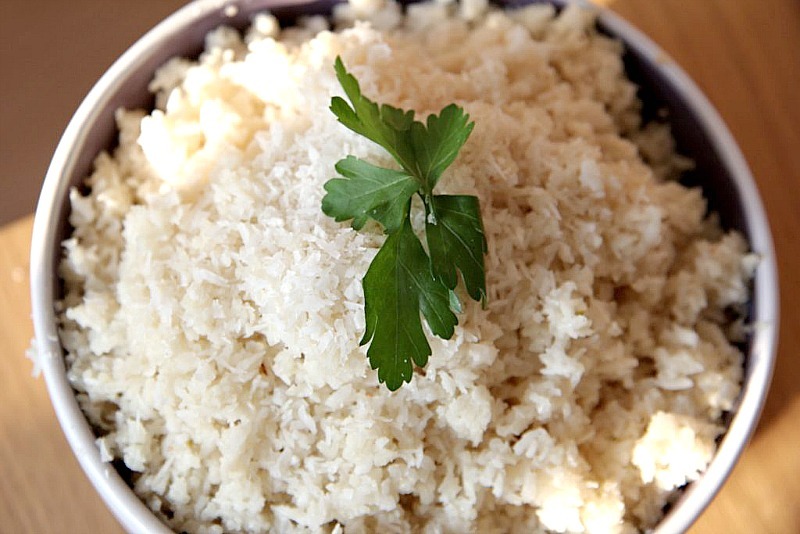 This gets the moisture out of the cauliflower and makes it more "rice like". Add the coconut milk and the desiccated coconut and cook for a further 5-7 minutes until the cauliflower is tender but not mushy. I noticed in your recipe instructions you say to add the grated coconut to the oil on the second bullet point. I think you meant the grated cauliflower. Just wanted to point that out. I’m excited to try this recipe tonight! oops! Thanks for this! Hope you enjoy it! *lol* love it! I JUST did a cauliflower-coconut recipe as well – we made ours into a soup (we like to flavor it with either dill, nutmeg, or curry, depending on our mood.) I, too, have been on a broccoli-and-cauliflower-and-coconut high lately! They are all so tasty! Oooh, that sounds lovely! I think this would be nice with a few chillis in too! mmmm, yes! Especially if it’s cold where you are!